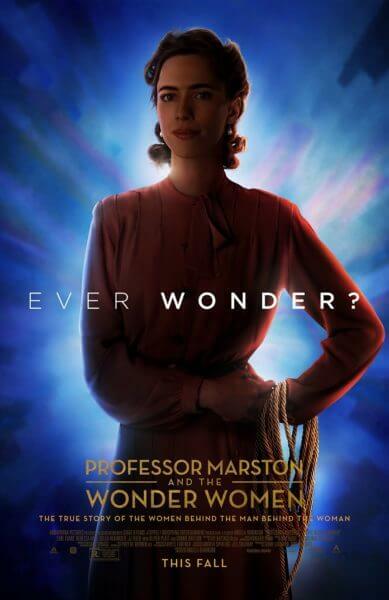 In support of its upcoming Toronto International Film Festival premiere, Professor Marston & the Wonder Women has just unveiled three new character posters. 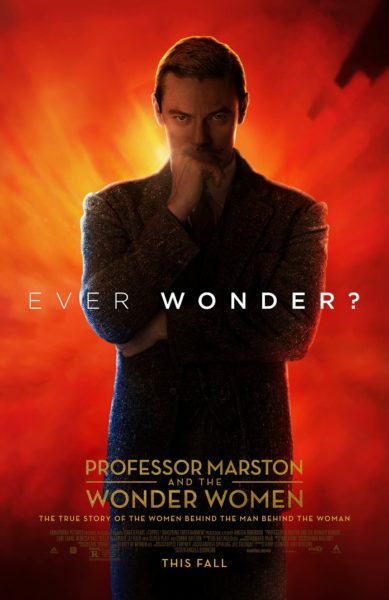 The batch of posters feature Luke Evans (Beauty and the Beast) as Dr. William Moulton Marston, Bella Heathcote (The Man in the High Castle) as Olive Byrne, and Rebecca Hall (The Gift) as Elizabeth Marston. The film’s based on a true story and was written and directed by Angela Robinson (The L Word), with Amy Redford and Terry Leonard producing. Annapurna Pictures is targeting an October 13, 2017 theatrical release. The Plot: In a superhero origin tale unlike any other, the film is the incredible true story of what inspired Harvard psychologist Dr. William Moulton Marston to create the iconic Wonder Woman character in the 1940’s. While Marston’s feminist superhero was criticized by censors for her ‘sexual perversity,’ he was keeping a secret that could have destroyed him. 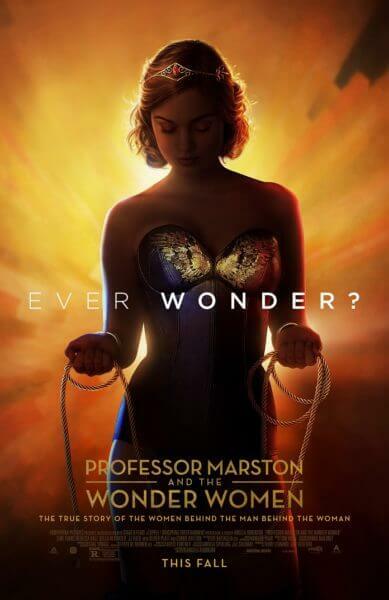 Marston’s muses for the Wonder Woman character were his wife Elizabeth Marston and their lover Olive Byrne, two empowered women who defied convention: working with Marston on human behavior research — while building a hidden life with him that rivaled the greatest of superhero disguises.